Your tire swing needs one of these heavy duty tire swivels. The three point mounting system makes attaching hardware easy. 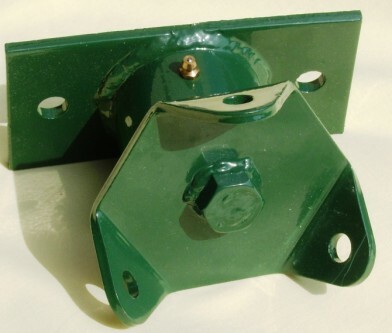 Powder coated finish and hardened steel ball with special ball bearings makes this part ready for years of heavy use. Includes grease fitting.